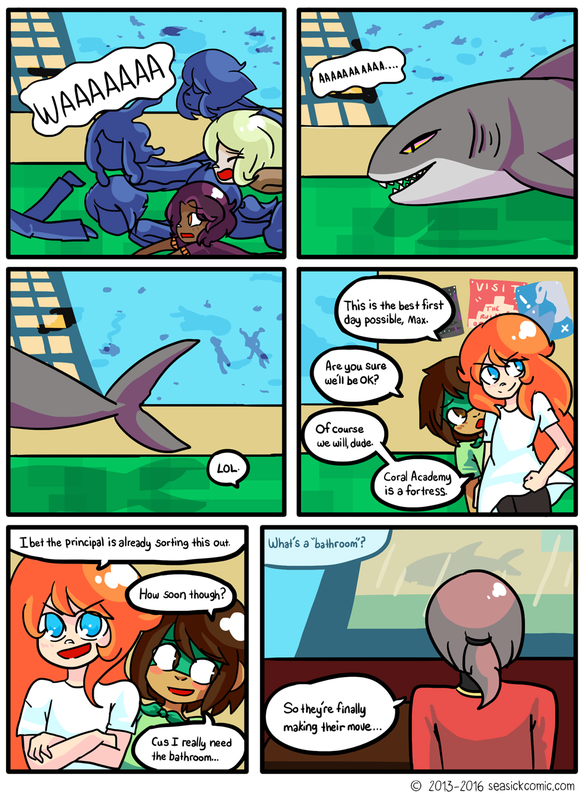 chapter-one-page-fifty-four – Seasick – The Underwater Adventure Comic. Updates Fridays! Hey! Thanks for reading! Still working on my referral work for Uni, I will be able to update twice weekly for at least a month afterwards, before my course begins again proper in September.